In this season, our attention turns to Bethlehem and a very special birth. Come to Gordon Hall at Ralph Connor Church, this Saturday morning, to learn more about ‘Bethlehem, then’ and hear first-hand experiences of ‘Bethlehem, now. 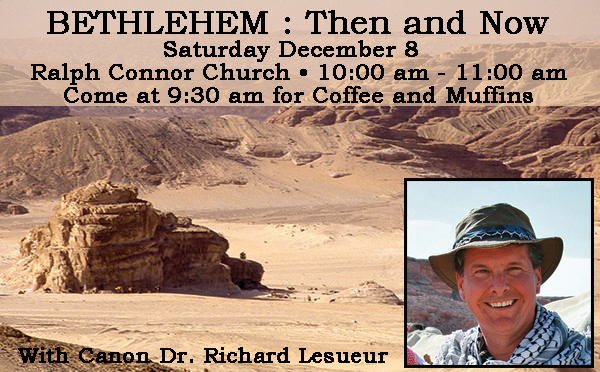 Through the lens of recent archaeology and first-hand experience Richard LeSueur, former guide and lecturer with St. George’s College, Jerusalem, will lead an exploration of “Bethlehem; Then and Now” on Saturday, December 8th in Gordon Hall. 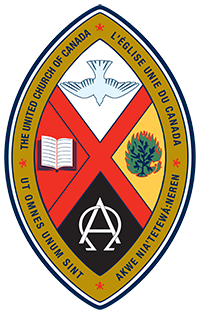 Come at 9:30am for coffee and muffins followed by a presentation/discussion which will end at 11:00am. Canon Dr. Richard LeSueur also runs tours to Bethlehem; some of our very own Congregation have gone on this Pilgrimage. If this is of interest to you Richard will be leading an in-depth pilgrimage through Israel and Jordan next September 2019 (Sept 19-Oct 5), with an option to take the 13 day Israel segment on it’s own. For full trip information contact Richard: 403-493-9922.